Tomasetti and Vogelstein hypothesized that there should be a strong, quantitative correlation between the lifetime number of divisions among a particular class of cells within each organ and the lifetime risk of cancer arising in that organ. In order to test their prediction, they identified tissues for which the number and dynamics of stem cells have been described, arguing that only stem cells, which have the ability to self-renew and are responsible for tissue homeostasis, have the capacity to initiate a tumour. Through an extensive search of the literature, they identified 31 tissue types for which stem cells had been quantitatively assessed (breast tissue was not one of the types identified, unfortunately). 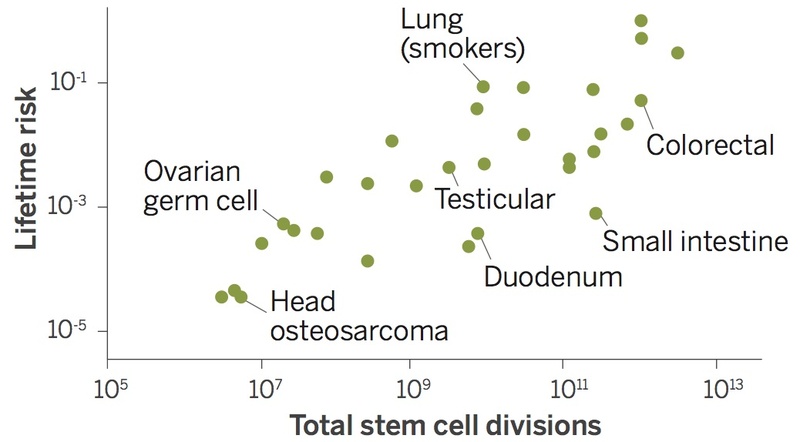 The lifetime risk of cancer for each tissue was extracted from the SEER database. They then plotted, on a logarithmic scale, the total number of stem cell divisions during the average lifetime of a human on the x axis versus the lifetime risk for cancer of that tissue type on the y axis. As seen in the figure (left), there was a high correlation between these two very different parameters, extending across five orders of magnitude and applying to cancers with enormous differences in incidence. For example, colon cancer, with 1012 stem cell divisions over a lifetime, is far more common than cancer of the duodenum that has 1010 divisions. The correlation coefficient of 0.81 suggests that 65% of the differences in cancer risk can be explained by the total number of stem cell divisions in those tissues, and so the stochastic effects of DNA replication would appear to be the major contributing factor to cancer in humans. Most cancers would therefore appear to be the result of biological bad luck, with Vogelstein commenting, “These cancers are going to keep on coming.” He believes that more resources should therefore be channelled into diagnosing cancer in its infancy. May I, glass of wine in hand, say they are talking crap? Firstly, a child would deduce that tissues with more rapid turn over would be more likely to develop cancer than those with slow turn over. 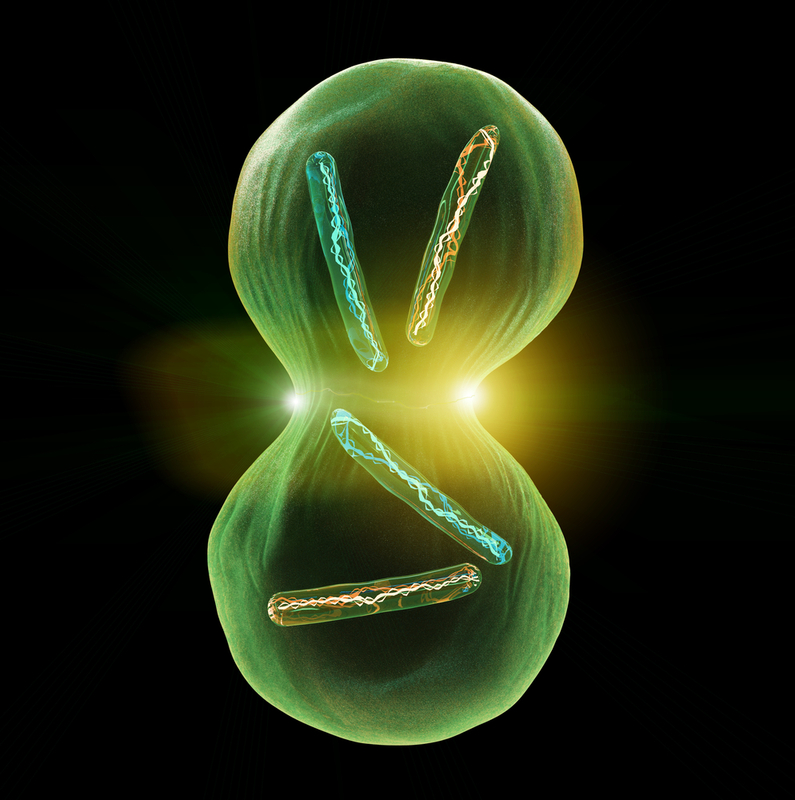 The rapid nuclear events and the telomere monitoring of them, as well as the known frequency of cancers – as in their diagram – would confirm that. Secondly, to call that which we (currently) do not understand “bad luck”, is an intellectual cop out.